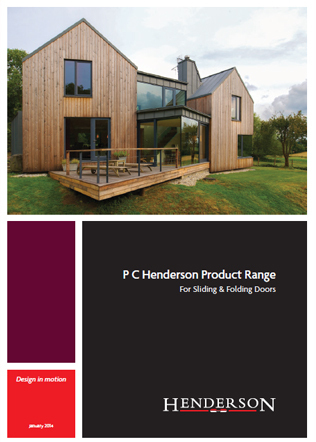 P C Henderson now exports to over 70 countries and this new ‘snap-shot’ brochure provides both metric and imperial measurements for its wide range of residential sliding hardware making it a must-have guide to keep to hand when visiting clients. P C Henderson sliding door hardware systems are perfect for saving space, maximising door opening widths, adjusting room sizes and increasing safety. P C Henderson products have been used in a variety of applications across the world. The company has always been passionate about providing comprehensive guidance to customers from the supply of CAD drawings on their website to detailed easy to download digital brochures. I agree to let P C Henderson contact me from time to time in regards to the P C Henderson Product Range brochure and related products.